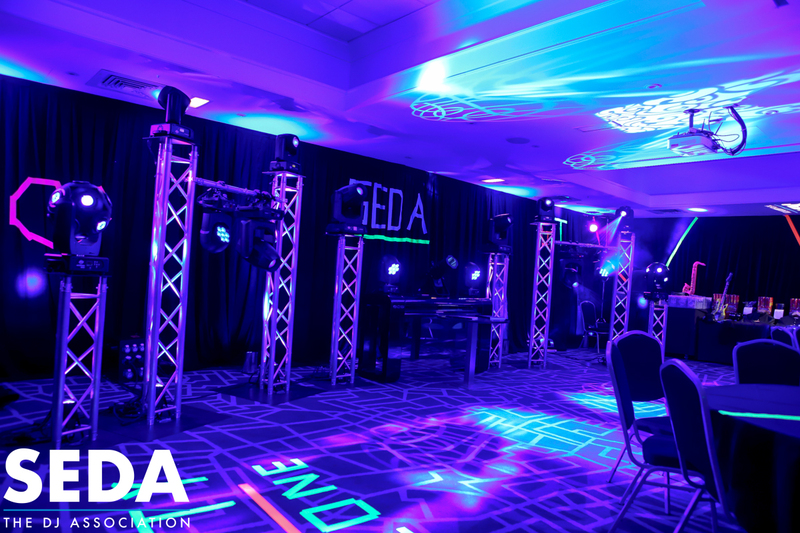 November saw SEDA returning once again to the village hotel in Maidstone, for its bi monthly ShowNight. As is often the way I arrived early enough to jump in and lend a hand to those already hard at work setting up. My first job was to lay down on the floor and play dead while Tony C applied UV reflective tape around my sprawled limbs! This particular ShowNight theme was everything UV and I just so happened to walk in when someone had the bright idea to tape a crime scene in front of the members show. 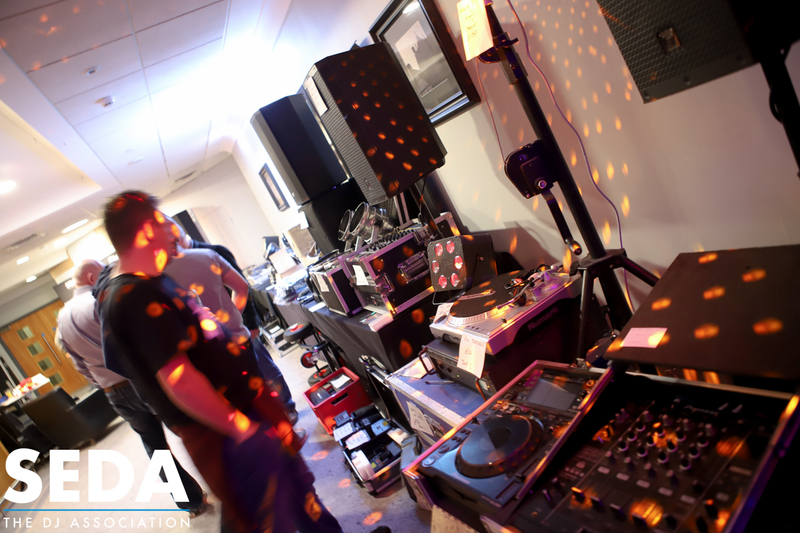 Following a little reshuffle the second hand table was moved to the reception area which is just as well as it was massive, with more equipment on show than some small retailers! 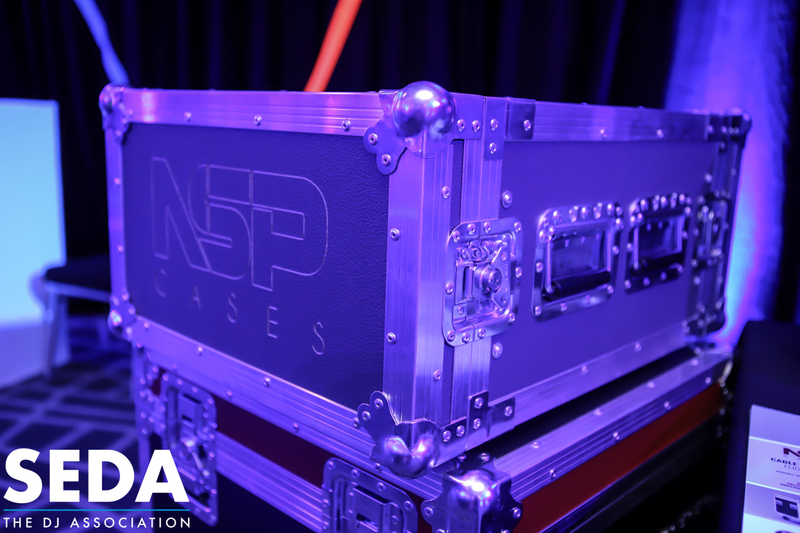 As usual manufacturers support was strong for the event with NSP Cases showing a number of their cases and transport solutions. 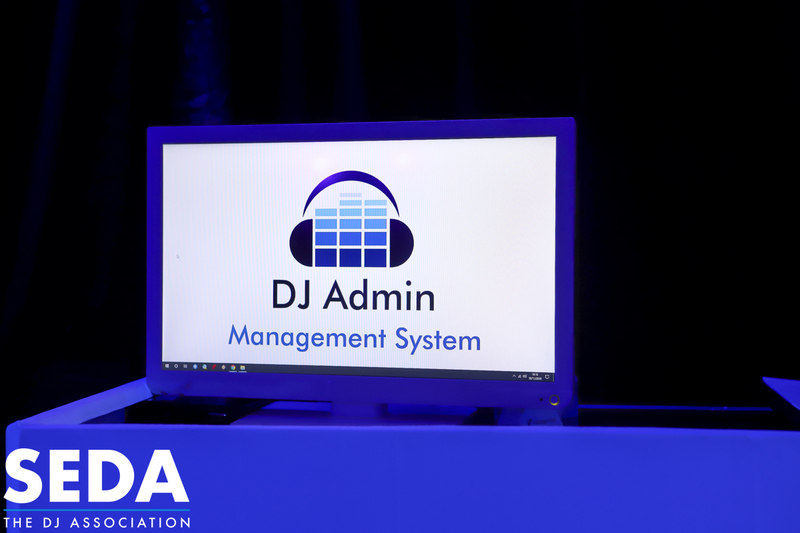 Dj Admin presented his business management system which was actually built around his requirements as a working DJ. 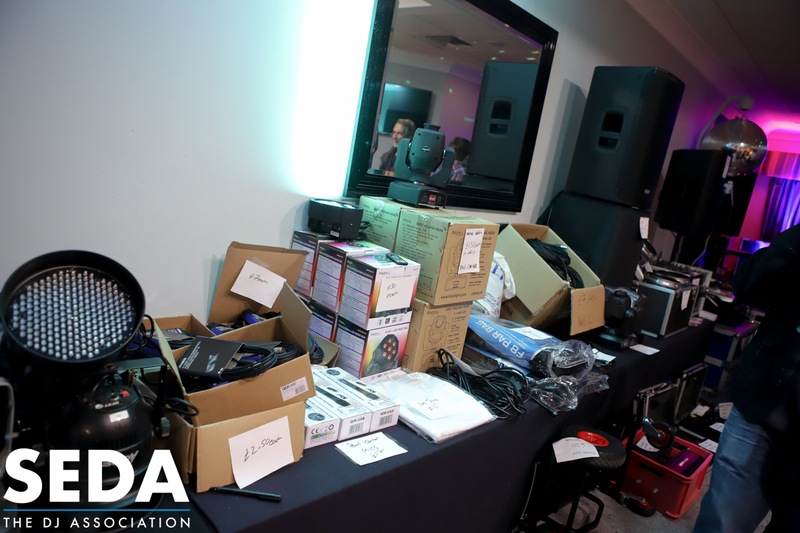 Curtis from ADJ showed us a range of products including the new Vizi CMY300 moving heads and the Vizi Q wash7 heads and the staggeringly large asteroid 1200 effects as well as several other effects including UV cob cannons around the room to make all the UV tape stand out (as well as a few sets of newly whitened teeth). 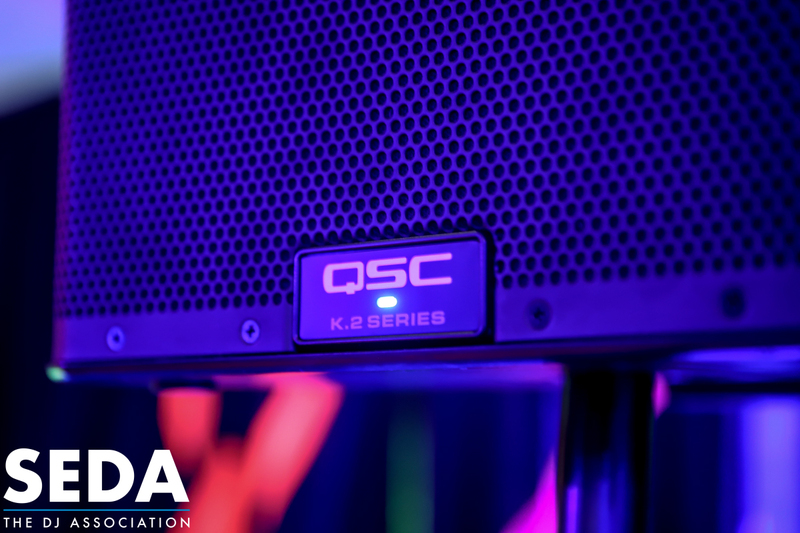 QSC were unfortunately unable to attend due to staff illness so SEDA members rallied together to pull together a set of K12.2 tops and a pair of KW181 subs (A big thank you to Jamie Brenchley & Mark Bennett). 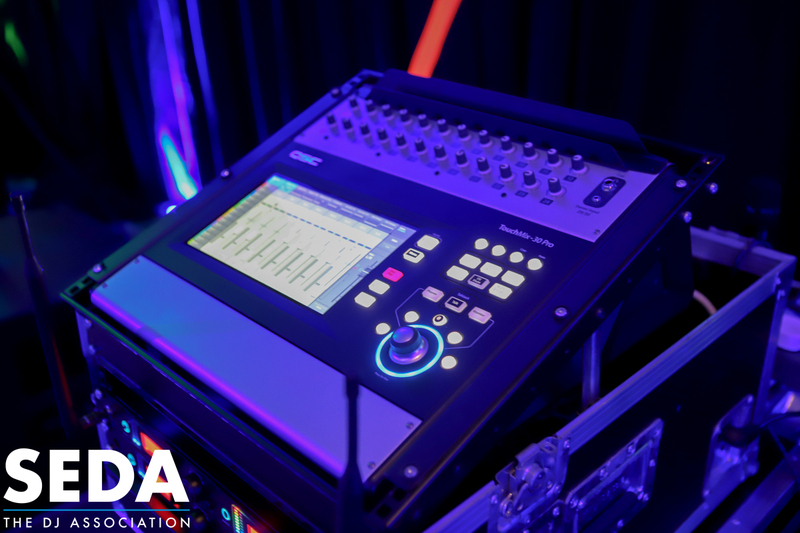 Sean Smyth fortunately had his QSC touchmix 30 with him and was soon roped into giving a brief description of the kit and a quick sound demonstration. 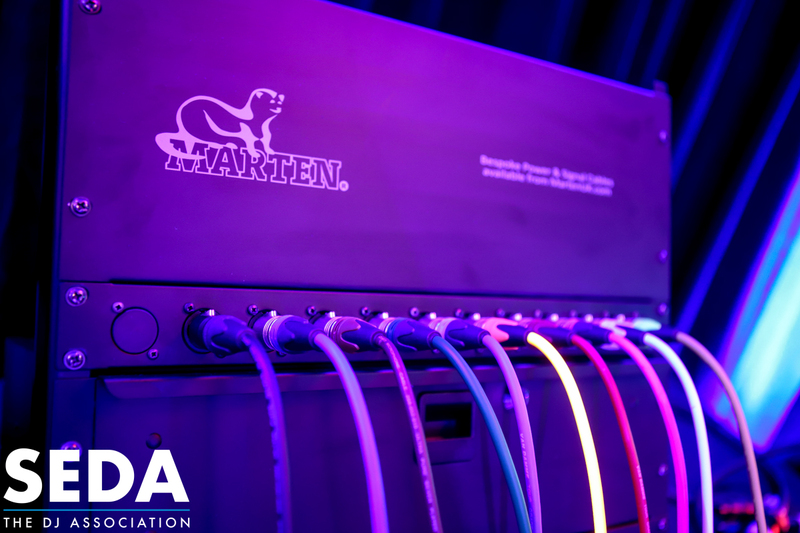 The last manufacturer to mention is our very own Paul Comber and his business Marten cables showing a small selection of his cables for power and DMX. Our members show was provided by Bradley Penhallow. 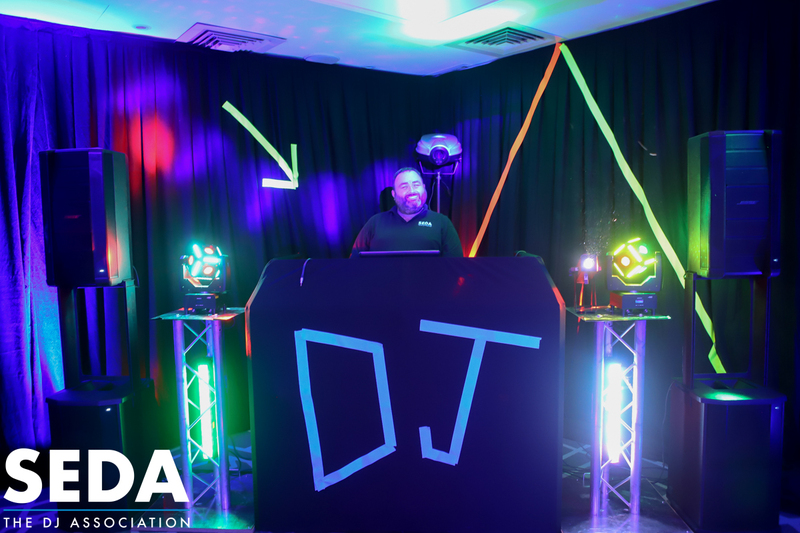 He talked us through one version of the setup he uses and he also provided the entrance mix and music throughout the evening. Tony C then gave us his inheritance tracks which is always interesting as it sometimes gives us a little insight into the person too. 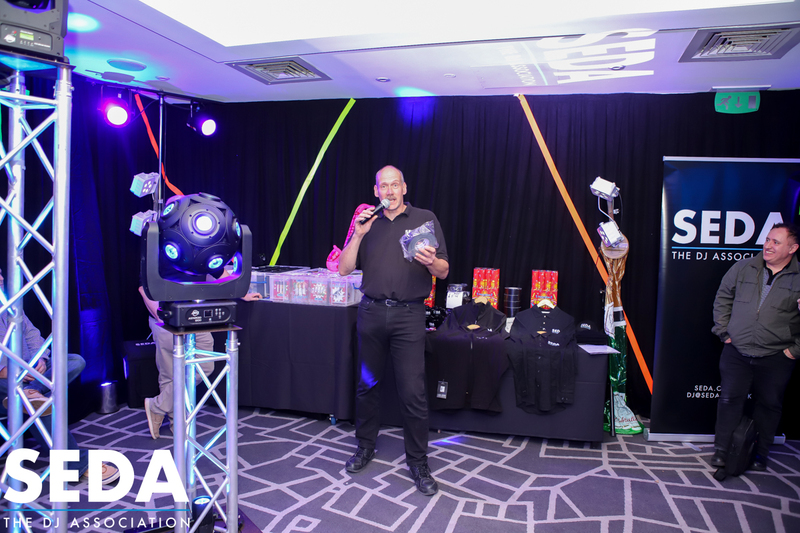 The SEDA shop was manned by Andrew Dykes who let us all know about a deal on the small handheld confetti cannons at which point Adam Hetherington decided to remind us of the UV theme and fired untold amounts of UV reflective confetti from magic fx…. and it’s fair to say if you weren’t finding this stuff days later “were you even there”. November last year I attended my first ShowNight and felt compelled to join there and then. The ShowNights build on the success of the previous and I’m still amazed at how good they are every time without fail. If you haven’t been to a ShowNight before I would thoroughly recommend it.